Quartzite, one of our top selling natural stones, is a durable, non-slip, attractive stone suited for both indoor and outdoor areas. We have had great results using quartzite as a high quality alternative to paving in pool surrounds, driveways and paths as well as a stronger, more durable alternative to indoor tiling. Quartzite is a metamorphic rock. Its main component is quartz (more than 80%) and it can be found in massive blocks or stratified. It generally presents mica in its constitution (sericite, muscovite and more scarcely, fucsite), which is an evidence of a clay matrix in the constitution of original sandstones. Because of its heavy quartz composition, quartzite is far harder than any slate and hence very well suited for outside areas. Quartzite presents a non-slip surface, even when wet, and durability beyond that which any slate or sandstone could provide. 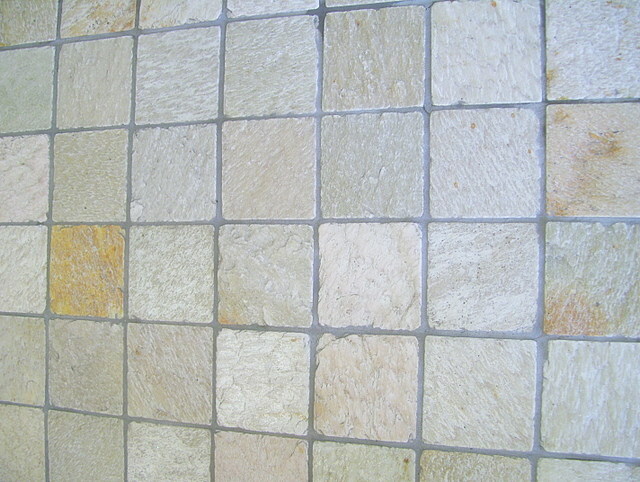 Below are some sample images of products from our quartzite range. 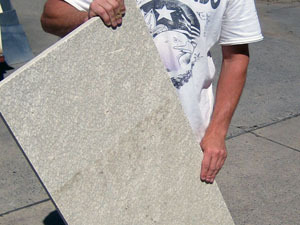 24. floating fine stacker quartzite. Please notice blue stone cuppings. Available from our store. 26. Floating fine stacker quartzite with bluestone capping. Available from our store.